James Clarkson’s work explores the idea of assemblage by using found objects and material, selected for their connection to specific moments of art history. This investigation becomes a mean of identifying the slippages in time and meaning that occur when an object or idea assumes its own formal language outside of its original context. For his first solo exhibition in France, the UK based artist presents a new and existing body of works that deal with his interests in the surface decoration of early 20th century ceramics, and the way that the manufacture of these surface decorations acts as a form of latent referencing, bringing art historical context to a domestic object. Five Abstract Motifs draws upon the specific working relationship of the Poole Pottery (the Britain’s major manufacturer of ceramics during the early 20th Century) and the Bristish artist Victor Pasmore for the 1951 Festival of Britain. Focusing on Pasmore’s large spiral ceramic mural, Clarkson presents a series of tiled ceramic works that investigate how Pasmore, whilst working as a public artist, developed his work from painting into sculpture. 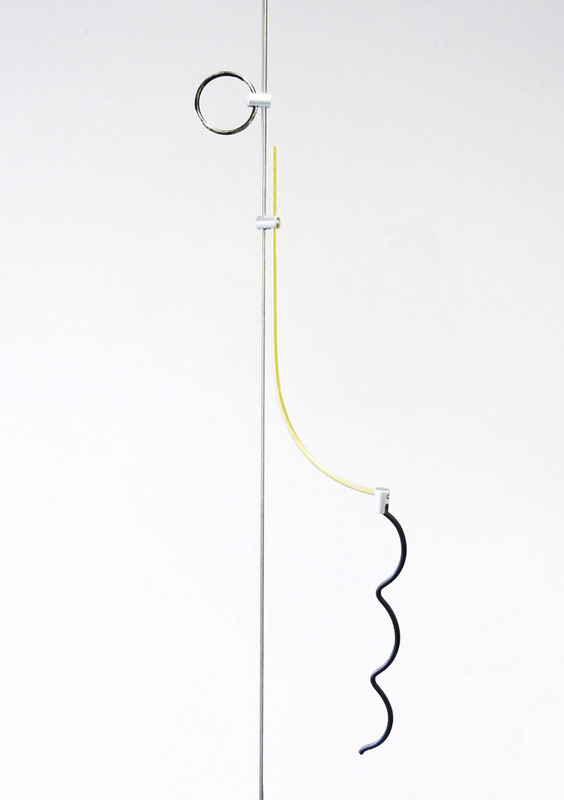 Clarkson’s exploration of the tension between form and functionalism continues in his series of Upright sculptures. Inspired by the reductive process that mass production of ceramic surface decoration brings about, the works are made of material selected for there simple gestural qualities and likeness to a line drawn by the human hand. Following the same reductive process, Clarkson uses objects from his studio floor. Often the detritus of his working process he uses these objects to create chance compositions that are either transferred directly onto the wall, Scatter Construction, or used as an instruction to generate a new object, Floor Compositions. Clarkson’s works negotiate the definitions of painting and sculpture, refusing to settle upon clear categories and therefore occupy a precarious position, ever liable to shift and change.